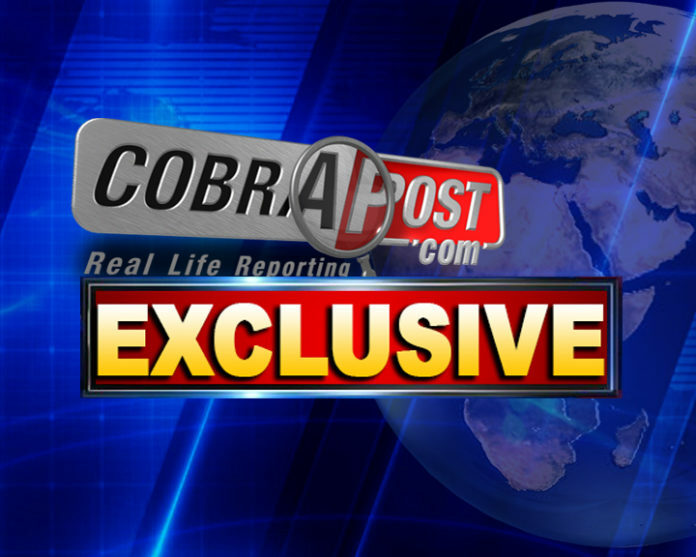 An undercover operation by Cobrapost exposes how IT companies across the country are using social media platforms such as Facebook, Twitter and YouTube to help politicians artificially boost their popularity and malign their opponents. Cobrapost has uncovered about two dozen such companies which are running this shady business of online reputation management. 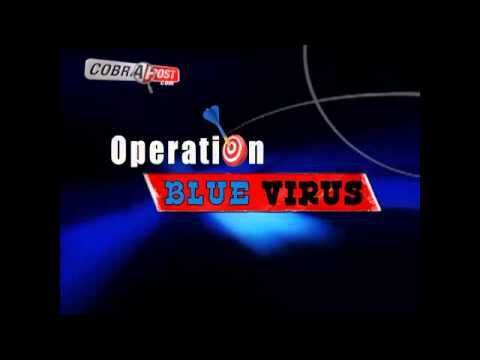 New Delhi: In a long undercover operation, codenamed Operation Blue Virus, Cobrapost exposes about two dozen IT companies across the country to be running a shady business of reputation management on social media platforms, offering their clients fake fan-following on Facebook and Twitter, and are doing negative publicity against a political leader or a party, or a corporate house, at the behest of their opposite camp, all for money. For them, building or destroying reputations online is just a click-of-a-mouse away. Clients they are serving include corporate houses, big or small, NGOs, scam-tainted senior government officials, individual politicians and political parties. Posing as a front man for a fictitious politician from an opposition party, Cobrapost Associate Editor Syed Masroor Hasan, approached over two dozen IT companies with a simple proposition: Netaji, his master, wants to launch an image building exercise on social media before coming assembly elections, simultaneously, his opponent’s reputation has to be destroyed with negative publicity, to help Netaji win not only assembly election with a handsome margin but also his party president’s trust, to pave the way for a Lok Sabha ticket in 2014, and then a Cabinet berth. Money is no constraint.  They would generate fake following on Netaji’s Facebook page, running into lakhs, by creating fake profiles or buying likes from the community of netizens.  They would create a good fan-following on Twitter, by buying packages of followers.  They would not allow a negative comment to appear on Facebook page.  They would do negative publicity against Netaji’s opponent, employing methods not necessarily ethical or legal.  They would post the negative content online from countries such as the United States or Korea, to avoid detection of its source. 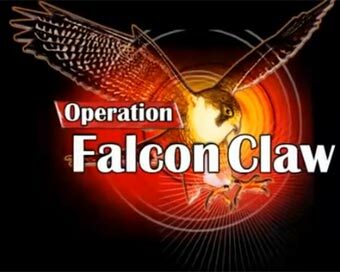  They would use assembled computers for negative campaign and destroy them after the project is over.  They would use proxy codes on their computers such that their locations change every hour, making detection impossible.  They would create fake profiles of Muslims to engage Muslims and change their views about Netaji and his party.  They offered to make the promotional videos go viral on YouTube.  They would put at Netaji’s disposal an in-house database of voters, categorized according to their vocation, area of residence, age, income level and religion.  They would use offshore IPs and servers to avoid tracing of the source of online content.  They would hack into the computers of other individuals for posting defamatory content using their IPs.  They would use Internet-based messaging system to circumvent TRAI regulations on mass SMS. This they would do using short codes instead of actual phone numbers to mask the identity of the sender. 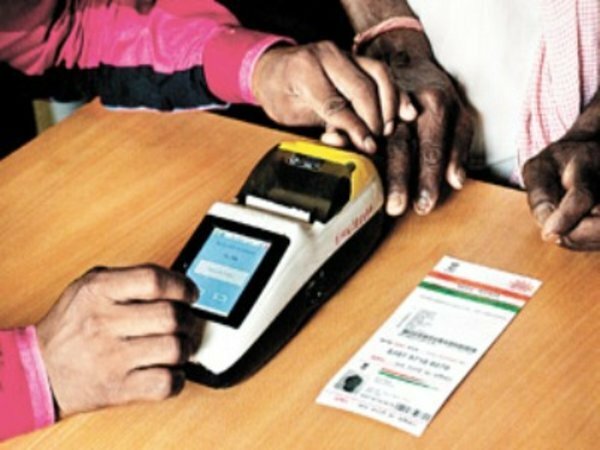  They would accept payments only in cash to avoid paper trail to ensure that no connection is established between them and their client. All these purported acts pale before the more audacious ones that some of the IT professionals put on our table, leaving us wondering if we were dealing with hard-boiled criminals. 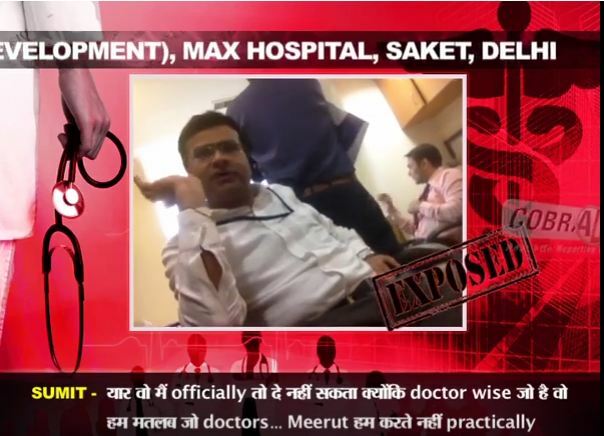 One such IT professional is Bipin Pathare, the most crafty and ruthless of the lot investigated by Cobrapost. He would not only give us booth-wise demographics of voters to help us with booth management but also not hesitate to detonate a bomb, or spread rumours of a riot situation, forcing Muslim voters to remain indoors on polling day, thus leaving ample scope for bogus voting. He claims to have helped one Praveen Jara win election. How he made it happen, learn it in his own words: “Idhar Praveen Jara jeet gaya na … udhar hum logon ne kya kiya tha maloom hai … ek jageh pe Muslim vote the Mislim toh nahin daalenge humein maloom tha pakka … udhar sixty per cent jo Muslim vote the … hum log ne kaisa kiya unhein udher danga kiya … ek thoda sa haath bomb hota hai … bomb wagaireh wo sab fora udhar unke hi logon ne … wahan koi bahar nahin aya … unka sixty per cent vote aa gaya … ye sab strategy hai na (Praveen Jara won here … you know what we did … there were some Muslim votes in a locality … we knew Muslims will not cast vote in his favour … there were 60 per cent Muslim votes … you know what we did … we created a riot … exploded there a little hand bomb taking help from their own fellows … nobody among the community ventured out … their 60 per cent vote was secured thus … we have all these kinds of strategy).” Hope, the Election Commission of India is hearing how a minority can be disenfranchised, by such mercenaries as Pathare, despite all its bandobast and tall claims of holding fair elections? Not to lag behind his peers in online reputation management is Abhishek Kumar, who is also working for Campaign Modi on social media. Kumar is planning to make a defamatory content on Rahul Gandhi to go viral on social media a few days before elections. Some of the companies which claimed to be running a campaign for Narendra Modi on social media also agreed to do negative publicity against Netaji’s opponent. To see if negative publicity could be done, as every company claimed, Cobrapost managed to get Priyadarshan Pathak, another online reputation management professional exposed in Operation Blue Virus, to do it against a fictitious company, Mercury Aviation. He agreed to do it for Rs. 92000. We paid him Rs. 45000 in two installments, which he accepted before camera. We have prints out of the pages of various social media cites, such as Facebook, replete with all sorts of negative crap, sometime expletives, complete with cartoons and caricatures of the aviation company, enough to make one cringe at the company’s unfair practices, destroying its reputation completely with allegations, among others, of money laundering, allowing terrorist to use its equipment and defrauding its passengers in the name of charity. Many of these practices constitute a crime under the ambit of existing laws such as the Indian Penal Code, the Information Technology Act 2000, the Income Tax Act 1961 and the Representation of the People Act 1951. For instance, publication of negative comments or derogatory jokes constitutes an act of defamation and as such is punishable under the IPC; the use of fake IDs to get Internet connection or domain name not only constitutes cheating by personation and cheating to dishonestly induce delivery of a property but also constitutes forgery and as such is punishable under various sections of the IPC, namely, Sections 419, 420 and 465. On the other hand, transmission of information that is grossly offensive or is of a menacing character or transmission of information which is known to be false to cause annoyance, inconvenience, insult and injury is also punishable under Section 66A of the IT Act 2000. Similarly, hacking is punishable under Section 66 of the IT Act. Acts like detonating a bomb in minority locality or spread of rumour of such threat with purported objective of stopping them from exercising their electoral rights is punishable under Section 125 of the RPA 1951, so is booth capturing under Section 135A of the Act. Even discussing booth capturing or buying votes would constitute evidence of conspiracy to commit the said offence under Section 120B of the IPC. 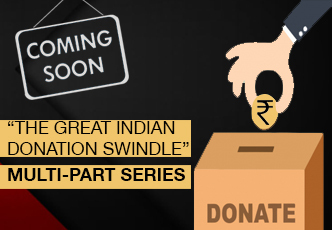 Cash transactions constitute a willful attempt to evade tax and are punishable under Section 276 of the IT Act, so is concealment of such transactions involving falsification of books of accounts under Section 277A. Legalese apart, more disturbing is the use of social media for fanning hatred and communal sentiments. As the darker side of social media is raising its ugly head, time and again, be it riots in Muzaffar Nagar or the exodus of people of the Northeast from cities across India, it has become a sore point with the government of the day and its perils are being discussed in various forums, including the print media. While a thorough investigation into the functioning of the IT companies in question is warranted to bring their functionaries to justice, the government authorities have to pull up their socks and put in place a comprehensive mechanism to tackle the ills and perils of social media, which is largely unregulated, without impinging on freedom of speech. The veil of anonymity that digital technologies provide the abusers of social media has to be pierced through. They would have to do away with the shoddy approach they have been dealing with social media, punishing people for criticism of the political class, be it the arrest of two girls in Maharashtra in not too distant a past, be it the arrest of a PUCL activist in Andhra Pradesh for posting some photographs of a politician embroiled in a controversy, which were already in public domain, and be it the arrest of a Dalit writer from Rampur who questioned the sacking of IAS officer Durga Nagpal by the Uttar Pradesh government. Operation Blue Virus also reveals BJP is leading from the front in its social media campaign, if the claims of the companies exposed are to be believed, so is its Prime Ministerial candidate Narendra Modi, with scores of companies working overtime for him. Operation Blue Virus compels one to draw a conclusion: There is little social about social media. 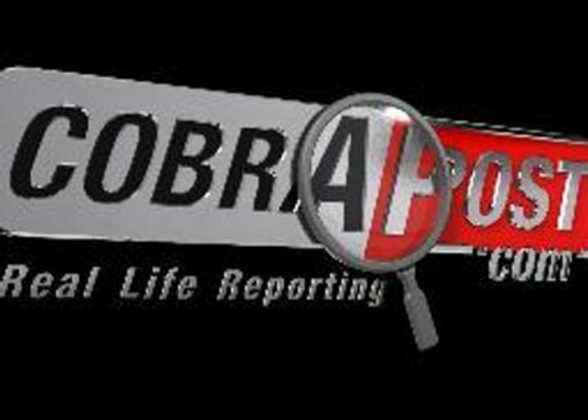 For more details log on to www.cobrapost.com.